These are a favorite of ours, and a perfect quick snack on cold winter days. I have used whatever peanut butter I have on hand, and they always turn out just fine. Pictured is also a regular sized muffin pan, and we got 11 muffins from this recipe. 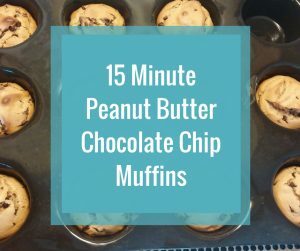 You could easily double this to make a larger batch and freeze some for snacks!